Zolar Technology & Mfg Co. Inc, Paul Atkins, Executive Officer of Zolar is pleased to announce an amazing success at the American Academy of Periodontology (AAP) September 28 thru October 2, 2013 in Philadelphia USA. Paul said, "Following the recent FDA 510(k) clearance for the USA market of ZOLAR-Photon series soft tissue diode dental laser we showcased both our Photon (3w) and the Photon plus (10w) soft tissue diode dental lasers and we have had an incredible response from the attendees at the meeting taking multiple sales orders for the Photon and the Photon plus Lasers." 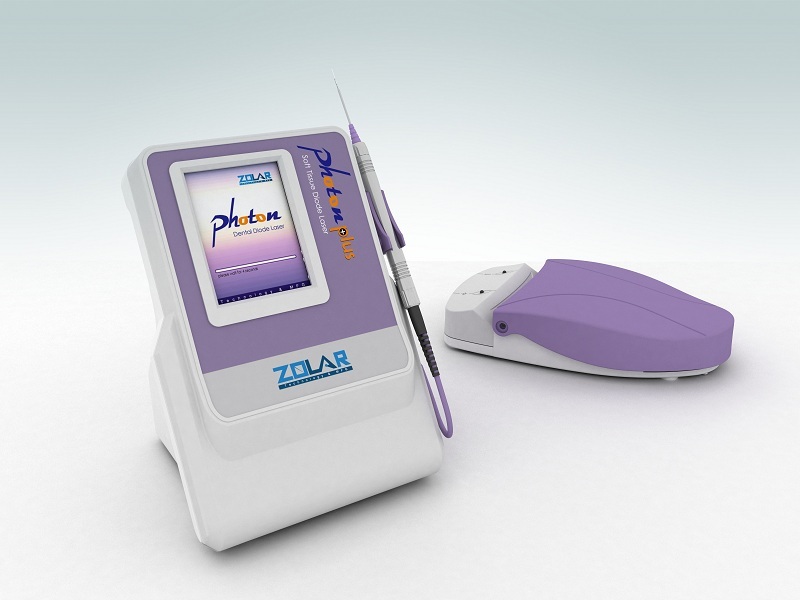 Paul states, "Zolar have sold thousands of lasers worldwide and have recently entered into an exclusive distributorship with Oral Science to market the Photon and Photon Plus soft tissue diode dental lasers coast to coast in Canada. Together with our partnership with Oral Science the Photon series of soft tissue lasers is well positioned to become the number 1 choice for dentist in diode laser in Canada. Paul continues, "With the successful AAP meeting and due to the high demands of dealers & dentists in USA this unique and affordable product is now available throughout the USA." The new Photon series present all the benefits of the most advanced generation of soft-tissue diode lasers: optimal portability with long-lasting battery pack (up to 4 hours), advanced software with a large touch-screen display, password security together with a wide range of built-in treatment procedures backed up by a 3-year warranty. The new Photon (3w power and 810nm wavelength) & the Photon plus (10w power and 980nm wavelength) offers more than 20 adjustable pre-set treatment programs together with multiple custom programs, including bleaching ability with only Photon Plus. The Photon Series Soft Tissue Dental Diode Lasers includes a large 3.5" LCD display with a unique built-in Navigation Technology and Tutorials, Multilingual Interface, Portable Power Module (can work wireless for 3.5 - 4 hrs with battery backup) with password security, wireless footswitch control all supported by a standard three (3) year warranty, the best in the industry. A full range of accessory items including: protective glass's, bendable disposable tips, cutting fiber and bleaching hand piece. The Photon series of Soft Tissue Dental Lasers offer a wide range of precise and safe surgical procedures on all oral soft tissue including: Fibroma removal, Frenectomies, Troughing, Succular debridement and removal of highly inflamed edematous tissue. Paul added, "Zolar Technology & Mfg Co. Inc. brings innovative products to meet not only the technical, but also the clinical needs of the dental community. The new Photon and Photon plus products provide the dentist with unprecedented features and at the most affordable cost. The increased workflow and unique range of clinical treatment applications will give the dentist the quality tools they demand with speed, convenience and flexibility. As dental healthcare continues to evolve, our company is in a unique position to deliver the value of a quality product in a personalized manner." Zolar will be further showcasing its new Photon series of soft tissue diode dental lasers at the upcoming 89th Annual Greater New York Dental Meeting in November 2013. 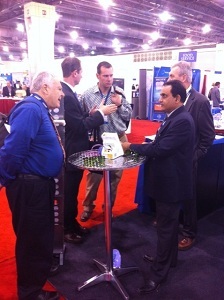 Please visit our booth # 3538 and see the amazing Photon laser in action and Enjoy to avail the Show Specials. About Zolar Technology & Mfg Co. Inc.
Zolar laser technology and manufacturing Co. Inc, is a company driven by the needs of dentists, oral hygienists and surgeons. With 20 years of research and experience of renowned dentists, our intent has been to continuously re-invent and improve both our product and our services, to bring to you the best products across the globe. Zolar helps dental professionals deliver great healthcare to their patients. Headquartered in Ontario, Canada, Zolar provides transformational medical technologies and services that are shaping a new age of patient care. Our broad expertise in dental and manufacturing technologies, performance improvement and services help our customers to deliver better care to more people around the world at a lower cost. In addition, we partner with dental healthcare leaders, striving to leverage the global policy change necessary to implement a successful shift to sustainable dental healthcare solutions. For more information about Zolar, visit our website at www.zolartek.com. About this company Zolar Technology & Mfg Co. Inc.